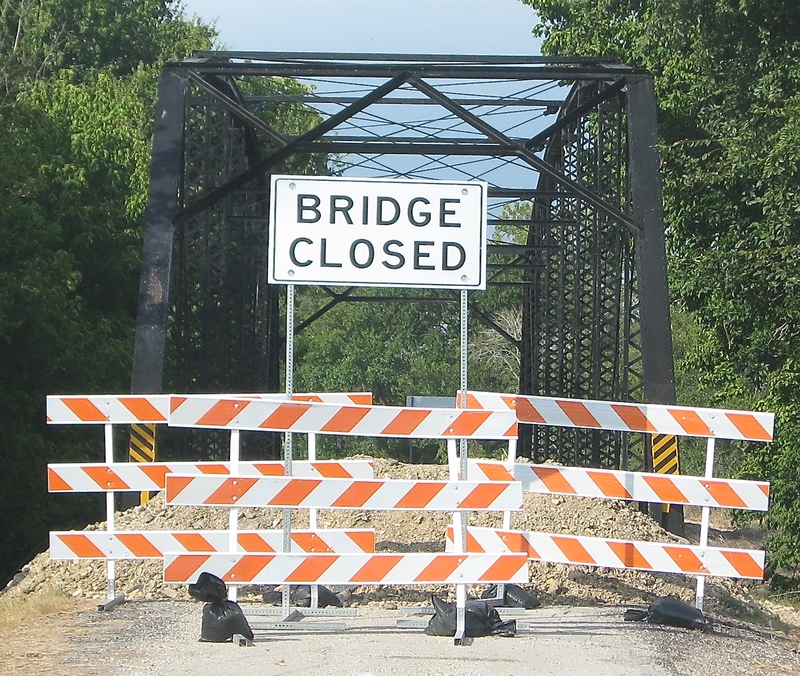 The truly historical iron bridge crossing Brushy Creek on CR 456 has been closed due to safety concerns. The state and Williamson County are studying whether to repair and put it back in service or tear it down and replace it with a new bridge. With the long wonderful history of this good old bridge in this Coupland area, it would be a shame to not have it put back in service. The bridge was completely renovated in 2006 with additional repairs in 2008 and in 2013 a completely new bridge flooring was installed. So, there has been recent substantial investment in preserving and maintaining the bridge. We need to keep this bridge in service and not unnecessarily spend massive extra tax dollars building a new bridge. The bridge, originally built in 1912 by the now famous Brown and Root Company, goes back many generations of friends and neighbors who have spent time standing on that bridge, as a youngster or elder, looking at Brushy Creek. Once this type of truss bridge was very common but now, according to the Texas Department of Transportation’s culture resources department, as of 2008 there were only 21 such bridges remaining in all of Texas. With very few people living on CR 456 and so very little daily traffic on the road as welI, it is hoped that by writing a letter to the Williamson County Commissioner’s Court and the Williamson County Historical Commission asking for their support, and enclosing a petition showing broad positive community interest, we can obtain their help once again to save our rare local beauty. They both were of great help in preserving the bridge back in 2006 when it was renovated and hopefully they can do so again now. The bridge “begs” to be kept in daily service. Together we can help maintain history here in the Coupland area. This entry was posted in Opinion & Commentary, Wayback Machine, What's New? and tagged Brushy Creek Bridge, CR 456, petition to save bridge, truss bridge, Williamson County Texas on September 10, 2014 by Stewart Dale Spencer. Jim, I sent my message to Karen at the save78615 email, and it did work. I don’t know why it wouldn’t work for your message ??? The link would not work. It kept opening a new Chrome browser tab, si I did a copy and paste but the copy part had “Save” capitalized. I tried again later, after hearing from Stewart and using lower case “save”, it worked.